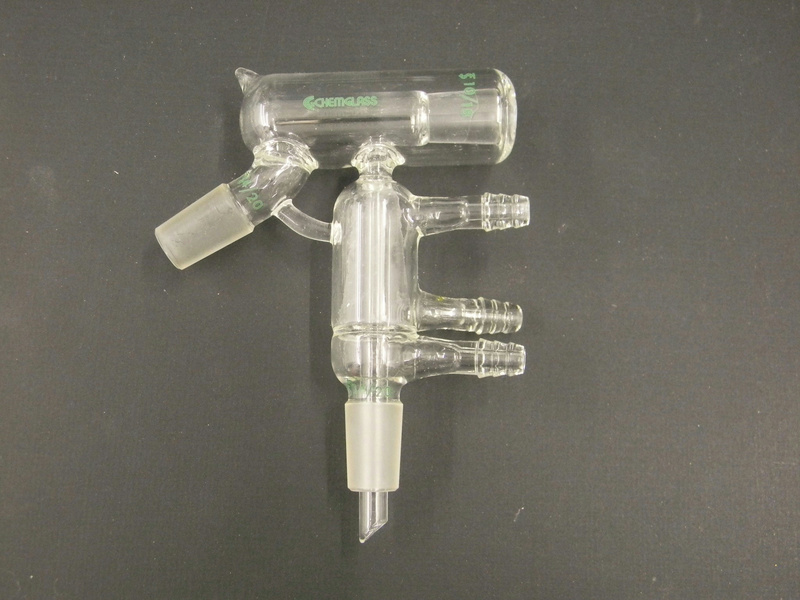 Chemglass Distilling Head Vacuum Jacketed 10/18 Thermometer 14/20 Joint CG-1240 . New Life Scientific, Inc. This is a used Chemglass distillation head that was removed from a Mettler Toledo MultiMax system. There are not visible chips or cracks in the glassware, tips, or joints. Chemglass retails $343 -- Buy now and save. Description: Short Path, Three barbed ports, 10/18 Thermometer Joint, Two 14/20 tapered Lower Joints.